WASHINGTON — One of the gems in the National Park System is the Chesapeake and Ohio Canal National Historical Park, a ribbon of a park that stretches from Georgetown 184 miles to Cumberland, Maryland. While the canal winds through Brunswick, Williamsport and Hancock, nowhere is the C & O more urban than in Georgetown, where row houses line parts of the tow path and offices look down on the canal. The mile-long stretch of C & O Canal park in Georgetown is undergoing a major face-lift — a $1 million master plan is being designed that could bring a new look to the historic waterway in which construction began in 1828. “There are so many opportunities to create spaces for people to gather,” said Alison Greenberg, executive director of Georgetown Heritage. 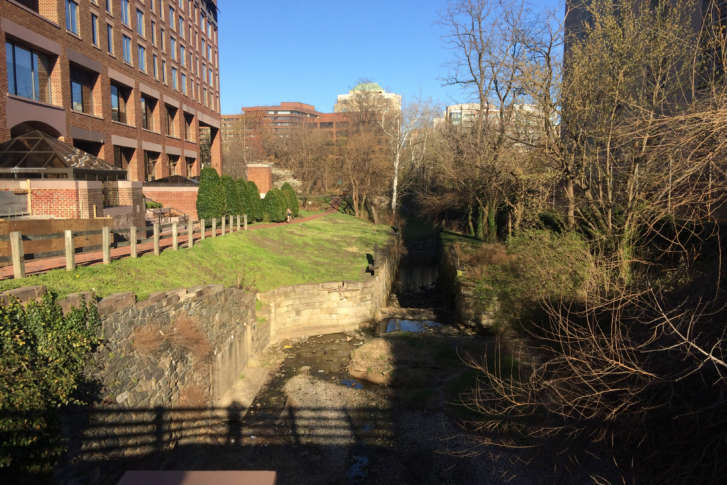 The nonprofit group is partnering with the park service, the Georgetown Business Improvement District and the D.C. government to revitalize the historic canal. Residents, canal park users (including walkers and bikers) and business operators near the canal turned out to swap ideas for the design during a community meeting Wednesday night in Georgetown. The architect expects to have some concept drawings available in several weeks. “It is really important to us that the character and the patina of this nearly 200-year-old canal remains, because without that, we would have destroyed the very fabric that we all enjoy so much,” said Kevin Brandt, superintendent for the park.